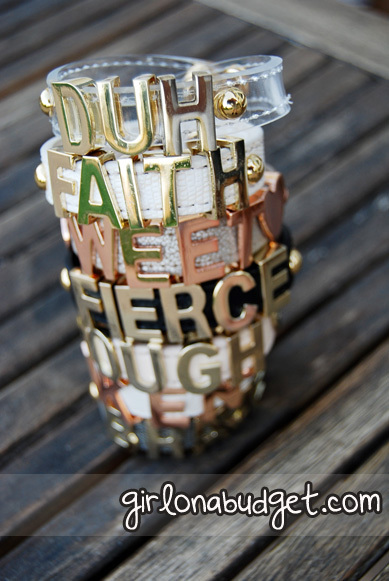 These affirmation bracelets by BCBG ($18, Macy’s, bcbg.com) are all the rage right now, why? Because aside from the fact that they are super cute and trendy, these bracelets allow you to express yourself and your mood! Go ahead! Tell people you are “Taken” or “Single”, or that you are “Fierce” or “Fearless”; the combinations are never ending. 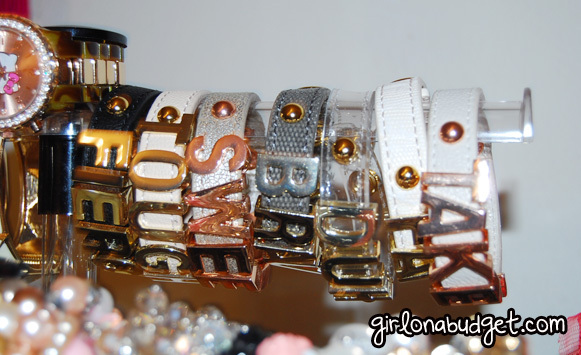 I love that they have different materials and textures for their bands: jelly, canvas-cloth, see-thru (clear), faux-leather, etc., and that the letters come in gold, silver, rose gold, and other painted colors, giving you a variety to choose from. They have two, single button closure so that you can adjust it to your size. The only disadvantage at the time of this writing, is that these bad boys are HARD to find! I mean you can check every nook and cranny of the internet and all the ones you want most likely have disappeared from the face of the Earth. (I wanted “Dream” and can’t find it anywhere!) And BCBG is not going to be restocking these because rumor has it (again this is just what I heard), is that next month in June, they are going to be re-releasing these bracelets but allowing us to CUSTOMIZE the bracelets to whichever saying we want. We get to choose the band/color we want, and the phrase we want. If you notice in these pictures, they have two “stopper” button studs; one in front of the word, and one at the end of the word, to prevent the letters from moving around or falling off the bracelet. I really do hope the rumor is true and they bring these little gems back into the market, they are a hot seller that’s for sure! I would love to be able to customize my own! 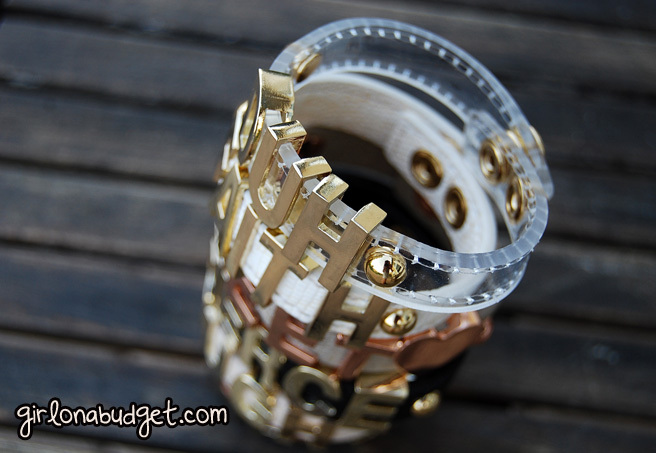 But I digress, I will be fair and put in the next closest dupe I can think of, which are these magnetic bracelet cuffs (see below) from Charlotte Russe at $5 a pop (all of Charlotte Russe’s accessories are only $5 right now!). 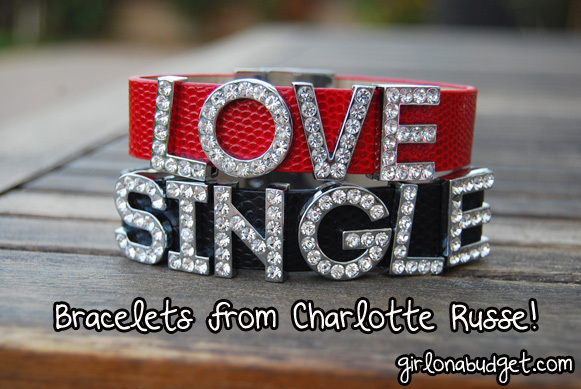 They only have “LOVE” and “SINGLE” unfortunately but nonetheless I think they are still kinda cute, especially how each letter has some bling. The only gripe I have is that it has a weird shape right out of the box and I thought wearing it on my wrist will loosen the shape up a bit so it conforms more to my arm, but nope, still a weird elliptic shape and it doesn’t sit right on my wrist. Phooey. 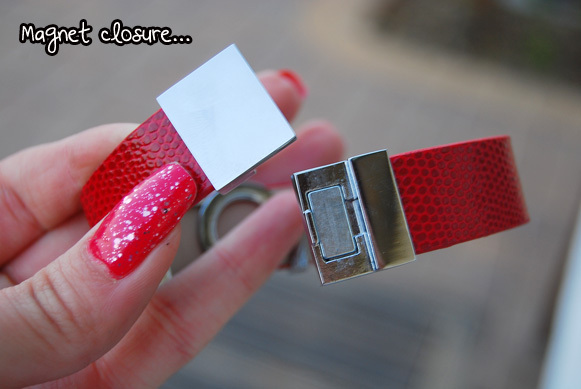 But I DO love the magnetic closure, definitely makes putting bracelets on yourself a breeze and it’s a sturdy/strong magnet too! 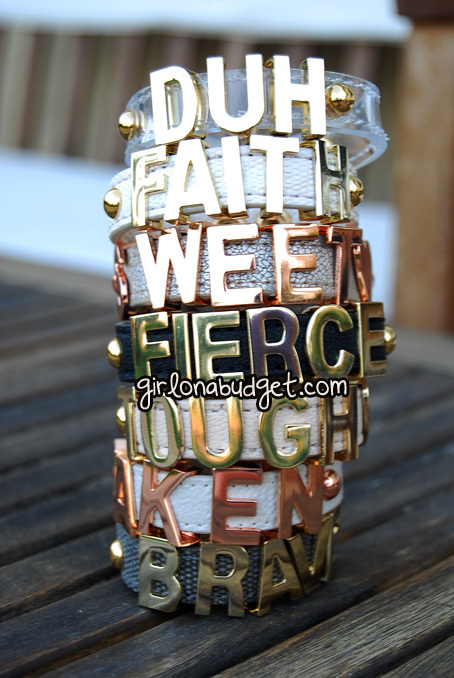 Do you have these bracelets? What do you think of them? Do you like the idea of customizing your own? Let me know your thoughts in the comments section! Nailpolish I am wearing is Essie’s “Boathouse” with Essie’s “A Cut Above” on top (Luxe Effects polish). OMG, i’ve been looking for the black leather one EVERYWHERE!! i have the white the rose gold in Taken. 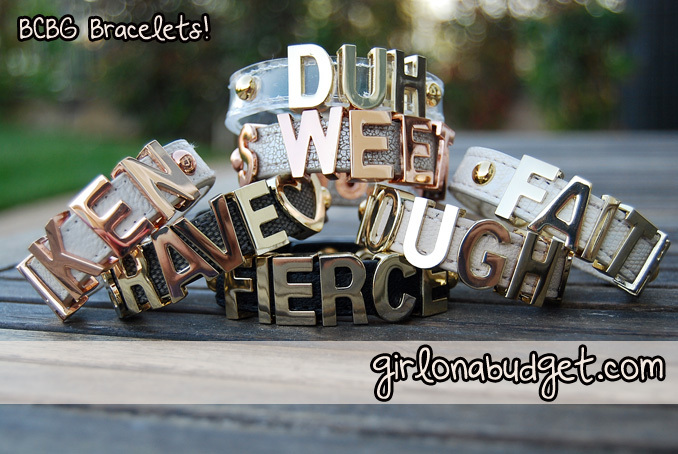 They are really cute to wear alone or stacked with other bracelets. I really hope the rumors are true about customizing them. I’ve been looking at craft stores to see if I can make them myself! but just prefer to buy them, if i had the option. 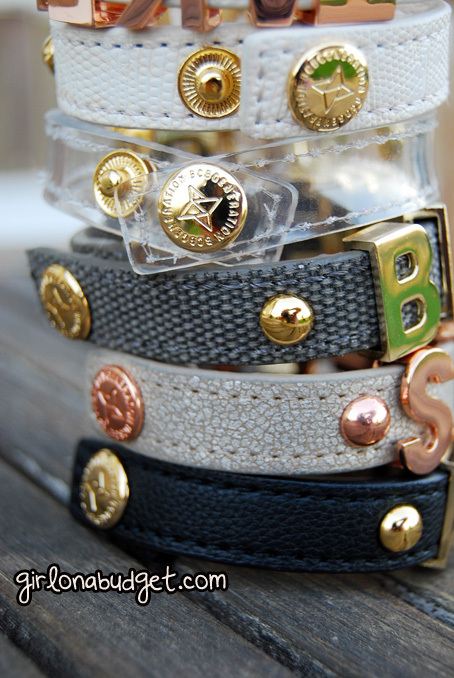 There are also ETSY sellers who carry the same version…just search Slider Charm Bracelet via the etsy.com site. Yeah I have seen the ones on Etsy, but they look a bit childish for me personally, especially with all that bling, and not as classy as the BCBG ones. However I do like that they are customizable. I think they are childish if you dont know how to wear it…..Tamar Braxton wears one w/her hubby’s name on it. I think its so cute! It really depends on HOW you wear them and what you wear it with. That bracelet is different than the one on etsy, it does look a bit more mature and less blingy…the bracelets on this site are heavily priced though. 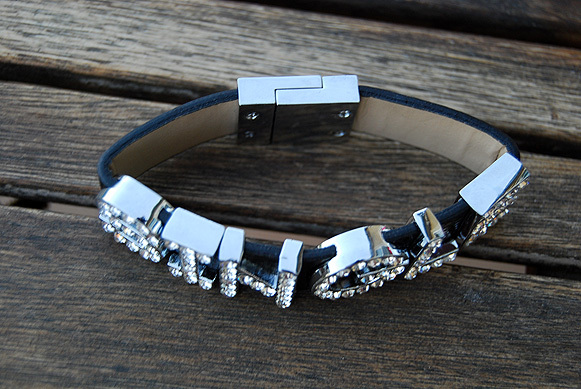 I just like the look and feel of the bcbg bracelets, I know there are dupes too and they also look great. This post wasn’t stating they were the only makers to make such a bracelet, but rather just my current obsession and opinion. I read it on some article when I was originally looking online for these bracelets, they were saying it’s sold out everywhere but that supposedly they are coming out with a fresh line of bracelets and that these will also be customizable, *crosses fingers*! 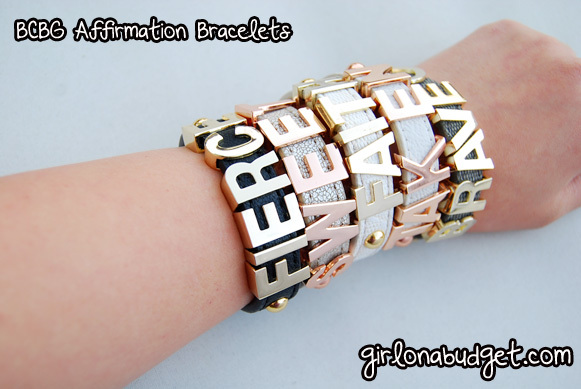 Girl, I love your affirmation collection!! Check out http://www.twenty-love.com, there are customizable ones on there. Lots of colors to choose from. They have different materials depending on which one you get, some are plastic, some are like a canvas-like material, some are like a leather feel, etc.